In 1880, forty years before the passing of the 19th Amendment, suffragists were fighting for the right of women to vote. One of the “reasons” given by their opponents was that women don’t WANT to vote. Matilda Joslyn Gage, wasn’t buying into that. 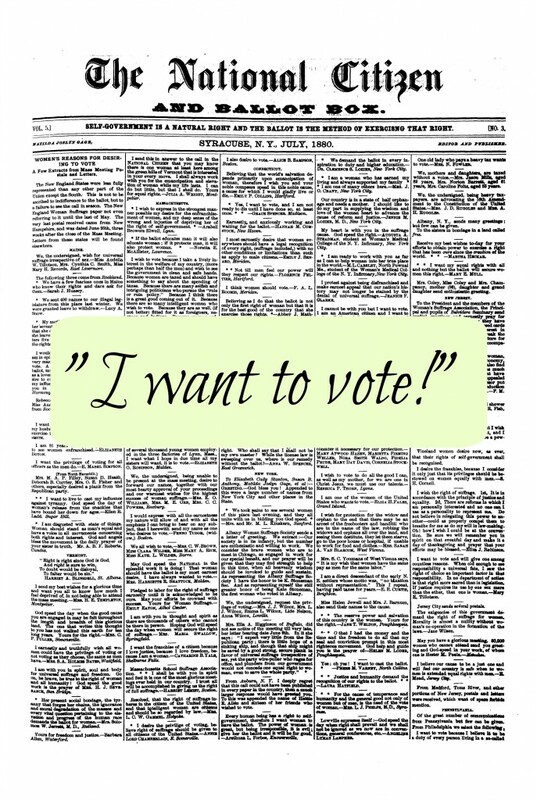 As owner and editor of the pro-woman suffrage newspaper, The National Citizen and Ballot Box she was in a position to not only ask women, but to publish their responses. She was overwhelmed with responses. She printed select ones. 136 years later, the folks from Words from Us organized a project to reprint them. We are proud to show you some of the responses from Kansas and Missouri–the states we call home. Individually these voices from the past are touching, all together they are a loud, powerful, collective voice from the past. Please visit Words From Friends to find links to the state you call home, or to the entire country. Lincoln which has a flourishing woman suffrage society, reports quite fully, though but few cards can find room and most of those must be abreviated. 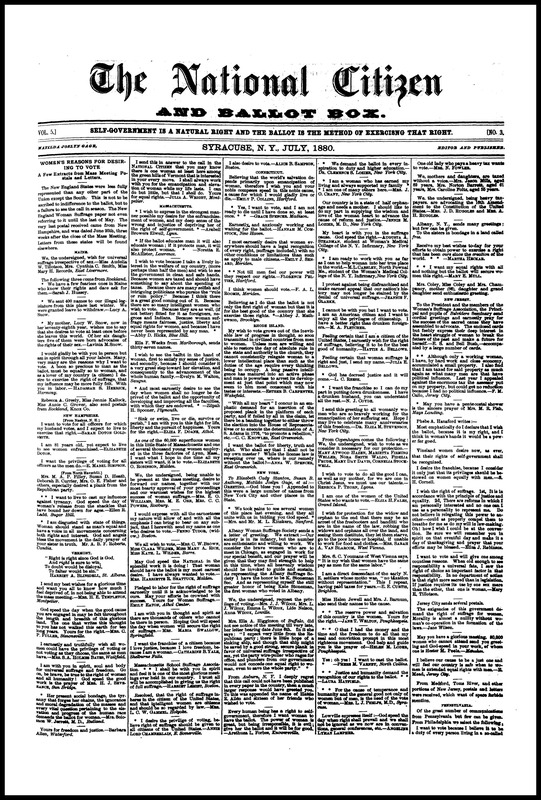 Missouri with its test woman suffrage case of Mrs. Minor, showing the rank injustice of the Republican party to woman and its falsehood to its own principles of nationality sent many names to the Mass Meeting, of women desiring to vote , some three hundred or more coming from St. Louis. Oregon, Holt County, possesses an active woman suffrage society, as the following six selections show. 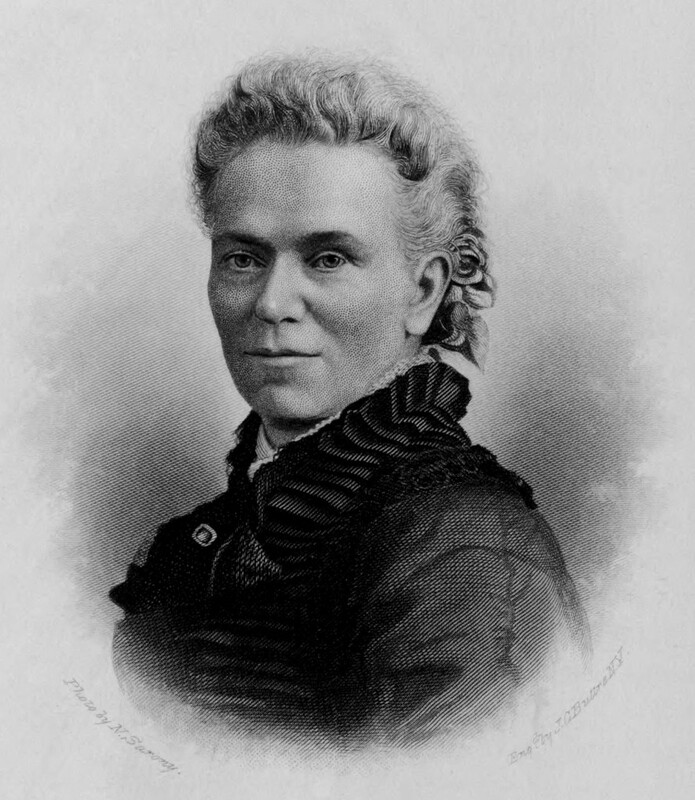 To learn more about Matilda Joslyn Gage (other than she was L. Frank Baum’s mother-in-law, we told you that already in the Wizard of Oz episode) head over to the Matilda Joslyn Gage Foundation.